Finding somewhere safe to live has been one of the most fundamental questions of human existence since the earliest cave dwellers. While today’s house hunters generally don’t have to contend with wild predators growling outside their home, finding somewhere safe, warm, affordable and in a convenient location is still a gruelling and often dispiriting activity. Little wonder, then, that many are now looking at alternative ways of living, feeling priced-out of the traditional housing market. For some that could simply mean looking at apartment sharing or staying with parents, while for others it could mean pursuing entirely new ways of living, whether converting non-residential buildings into homes – even shipping containers, or taking to the water with a houseboat, the possibilities are seemingly endless. However, perhaps the hottest emerging trend in alternative living concepts over the past five years has been the so-called tiny home movement, with people now buying, building and commissioning regular houses in miniature often with less floor space than the average studio apartment. The trend is a bold and radical one, but the inherent space constraints of tiny home living force owners to reconsider not just where they live, but how they actually live. 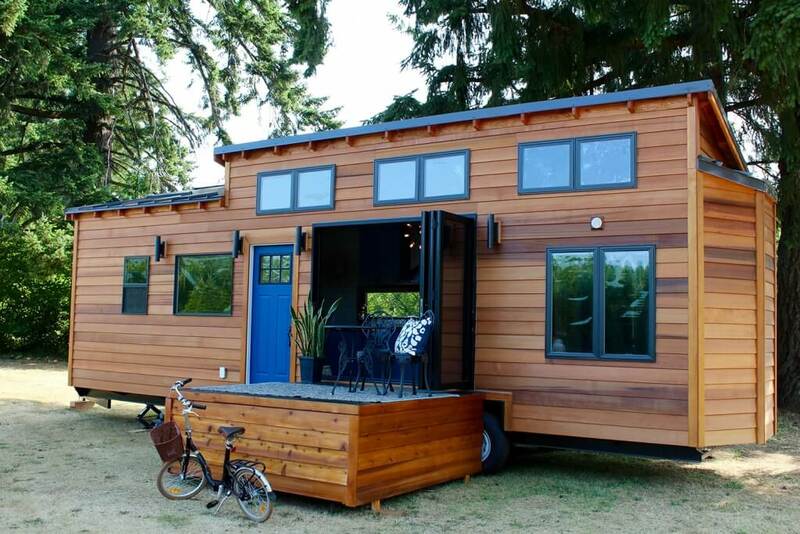 One barrier for some would-be tiny home-owners has long been the fact that many tiny house designs have been decidedly basic with Spartan design and only minimal home comforts. Tiny Heirloom, based in Portland, has been a leading light in proving that downsizing need not mean downgrading. Their cool, but cosy custom designs combine imaginative interiors with high-class build quality and their vision has already found an international fanbase with their hit TV show Tiny Luxury. We spoke to Jason Francis, one of the co-owners of this young family business, and asked him about the company’s history, hopes and their take on the tiny home movement. When did you first become aware of the emerging trend for tiny homes? JASON FRANCIS: We first became intrigued by tiny homes in 2013. Were you immediately inspired to start building tiny homes? We were building residential homes at the time and we began to realise there was something much more meaningful in building tiny. So we immersed ourselves in the tiny home movement and despite all its glory we found there was something lacking. Downsizing to create a more simple and free life is what it’s all about, but at what point do you stop compromising your life standards? We decided to bridge the gap so that downsizing doesn’t have to mean downgrading. At this point we realised [this approach] was something special so we took it even one step further. Why couldn’t we create a way for someone to downsize yet upgrade at the same time? So we set out to do that and with ambition and pure curiosity we started, in our garage, what was to become Tiny Heirloom. Now that you’ve built homes for a wide variety of clients, do you think that tiny homes can function for any type of owner or family? Yes, we have had very happy clients from all walks of life. Single, couples, small families and large 4-5+ people families and people further along in life ready to retire. In a lot of ways, it’s really more about the mindset. If someone has the right mindset then 9 times out of 10 it seems that they can make it work. There are some real compromises one must make but the benefits seem to always outweigh them. A lot of people are curious about tiny home living, but when you talk about compromises how can someone judge if it is right for them? This is challenging for many of our clients. We always encourage people to start with small steps. This can be as simple as staying in a tiny home or by starting to downsize and sell your unwanted or unused possessions. This can be tough for many people but its immensely rewarding. According to some research done, the average American household has 300,000 items. Over the course of our lifetime, we will spend a total of 3,680 hours or 153 days searching for misplaced items. That combined with the fact that the average American household has $16,061 in credit card debt its no wonder we have become slaves to our possessions, whether its by constantly searching for, cleaning up and organising our stuff or by trying to pay it all off. Our clients have found so much freedom by simplifying their lives and getting back to the necessities. 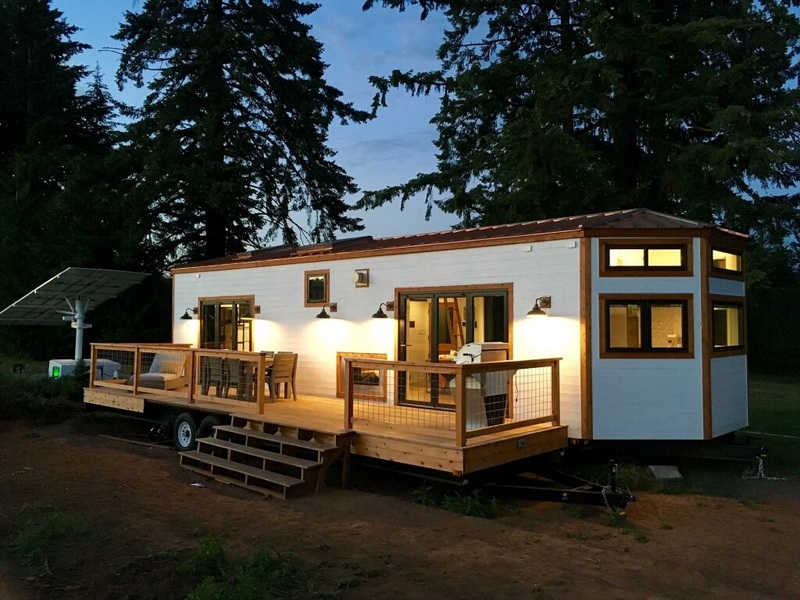 What do you see as the biggest challenge for people transitioning to tiny home living? Many of our clients struggle with letting go of some of their material possessions and yet when they do they proclaim how much more liberated they feel. Some, also, are challenged simply with the reduction in space. It can come as a shock if they are used to much more space. However, we’ve found that once they overcome that they are so glad they did as they are much happier in a space that is all they need and often times more comfortable and luxurious. While tiny house living means less things, your Tiny Heirloom ethos puts an emphasis on quality (both build quality and original design features), do you think that allowing clients to downsize without downgrading helps the tiny house concept reach a bigger potential audience and clients that might not otherwise have opted for tiny house living? Absolutely. Many people who were interested in living a simplified and purposeful life were turned off by the low grade and [lack of comfort]. This is what inspired us to start Tiny Heirloom and what spread like wildfire when we released our first tiny home The Genesis. People can now choose this lifestyle without having to sacrifice what’s important to them. What is the most unusual request or feature that a client has asked for in their tiny house? 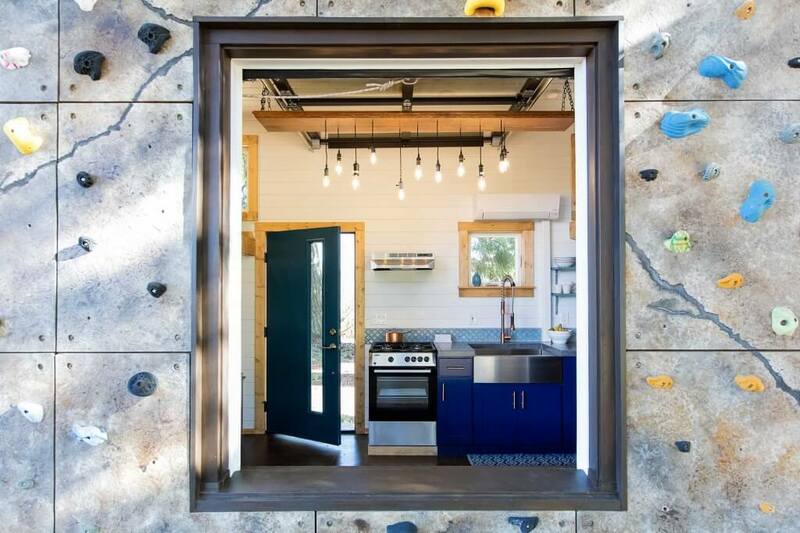 The most unusual was by far the rock climbing wall on one of the broad sides of the tiny house. It was a big challenge for us to come up with a feasible solution but it worked out wonderfully and looks amazing. Eliminating waste and simplifying one’s life within one’s respective means creates a lifestyle where you can truly enjoy what you do have and who is around you. Do you think that some of the lessons of tiny house living can be applied to other types of dwellings? Yes, indeed. Many of the lessons can be applied in any sort of living situation. It’s just as much of a mindset as it is a physical lifestyle. I currently don’t live in a Tiny Heirloom tiny home but rather in a 900sq. ft. farmhouse and my wife and I apply the same principles in our lives as any tiny home dweller would. 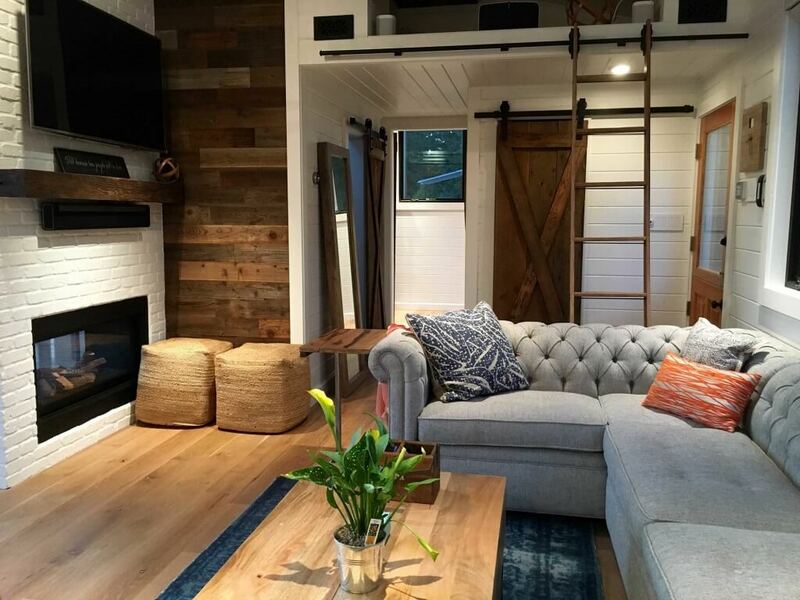 Your TV show, Tiny Luxury, has been very successful at promoting the values of tiny house living generally and the advantages of Tiny Heirloom’s designs, have you been surprised by its success? Yes, we were quite surprised by its success. We had an idea that many people would be interested, but this took it to a whole different level. We were very hesitant to take on the TV show but we are glad we did as it’s promoting a positive change in the way we think. Bigger isn’t always better and the more we have doesn’t equate to happiness. Eliminating waste and simplifying one’s life within one’s respective means creates a lifestyle where you can truly enjoy what you do have and who is around you. This lifestyle is on the rise and is what we stand behind and strive to provide with great solutions for people to accomplish that vision without sacrificing quality. What comes next for Tiny Heirloom? What are your plans for the future? We strive to continue to create amazing tiny homes for our clients. We plan to expand our platform with creativity and innovation to create more ways for people to live a more simplified, meaningful and luxurious life. There are also some amazing behind the scenes plans in motion, but… we’ll leave that up to your imagination for now. What most appeals to you about the notion of downsizing without downgrading?